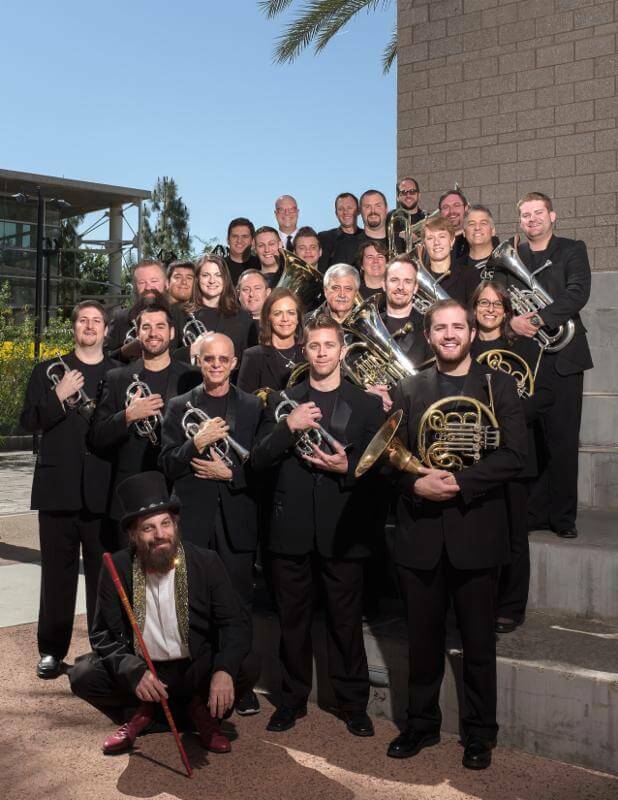 The Salt River Brass is a 501(c)(3) nonprofit organization with the mission to provide entertaining and educational concerts for audiences through the presentation of brass band performances, educational programs, and the production of recordings, while providing a rewarding experience for the musicians. 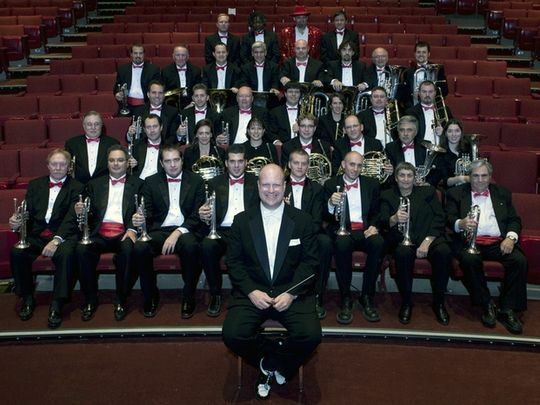 The Salt River Brass was founded by our musicians in January 1988. Just 18 months later, the band booked its first major performance as part of the Chandler Center for the Arts’ grand opening, and continued there for the next 20 years. We have performed in venues across the Valley and state, including the Orpheum Theatre, Phoenix Symphony Hall, Scottsdale Center for the Performing Arts, ASU, the Sundome, several local colleges and community centers, and now in the beautiful Ikeda Theater at Mesa Arts Center. The band performed under an array of conductors and its own musicians until 1992, when Ralph Pearce became Music Director and Principal Conductor for the next decade. Maestro Pearce used his extensive background as a conductor, composer and educator to help mold Salt River Brass into one of the premiere brass bands in the country, resulting in honors in a North American Brass Band Association competition and four recordings. After Maestro Pearce’s retirement and two years of guest conductors, the Salt River Brass hired Patrick Sheridan as our Music Director and Principal Conductor. Under Maestro Sheridan’s baton, the band has developed a vibrant, dynamic style that is both entertaining for our audiences and challenging for our volunteer musicians. Read more about Patrick here. Over the years, highlights have included presenting a sell-out benefit concert just two weeks after 9/11 at the Sun Bowl Amphitheater in Sun City, performing for hundreds of band directors and music professionals at the 2013 Texas Bandmasters Association’s Annual Conference in San Antonio – the largest annual convention of its kind in the country – and recording The Great American Songbook with trombone extraordinaire Harry Watters, who also performed with the Salt River Brass in Texas. The Salt River Brass is an all-volunteer brass and percussion ensemble with the upbeat brilliance of a military band, the full-throated sonorities of a symphony orchestra and the warm intimate sounds of a chamber group. We hope to see you at a concert soon!